Uploading regularly (sometimes multiple times a day) is a big part of how gaming channels operate on YouTube. Frequent releases and urging viewers to subscribe may keep gaming channels on the top of their viewers’ minds, set audience expectations, and can help surface your videos more frequently. When planning out how many uploads you want to release each day or week, ensure your proposed schedule will keep you sane and happy. It’s not a good idea to upload just to reach a magic number. Remember to check in with your audience. Are they watching all of your uploads and loving your stuff? Try reading your comments and looking at your YouTube Analytics to get a sense of how entertained your viewers are with the videos you’re producing. Your effort level and your audience’s response are two key indicators that can help guide the frequency of your uploads. Don’t forget to promote your programming schedule so that your audience knows when and what they can expect from you. Consider adding a call-to-action in your videos, using branding elements like your channel banner or trailer to advertise your schedule, and sharing it on social media. It’s ok to take a break or go on vacation -- but remember to let your fans know or film in advance and upload with the scheduler! Use the scheduled publishing option when you’ve created more than one video and want to release them over time. 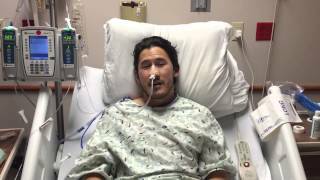 While we don’t encourage you to make videos if you’re not feeling well, here Markiplier shows his fans why he may be taking a few days off from regularly scheduled programming. Gaming videos come in many shapes and sizes. There’s no need to stick with just one type. Many gamers have gone beyond the traditional “walkthrough”and “Let’s Play” formats to less traditional videos featuring on-screen appearances, long-form content and livestreams. One of the best ways to see which types of videos you like to make (and what resonates with your audience) is by experimenting. Try out different formats until you find the ones that inspire and motivate you. 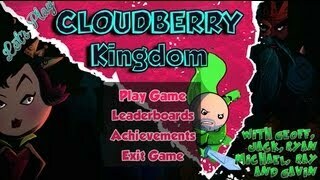 Many creators have accelerated their growth and discovery by featuring several types of videos on their gaming channel. Don’t forget that livestream is an option too. You can turn it on with the touch of a button and instantly be interacting with your audience in real time. You can even create playlists of previous live streams as an archive and promote on social media. Use playlists to organize your videos by format. Enable mid-roll ads on longer videos. Let’s Play is one of the most common formats on YouTube, especially for new creators. Think about what you can bring to the video that would help you stand out from a crowded field of similar videos. 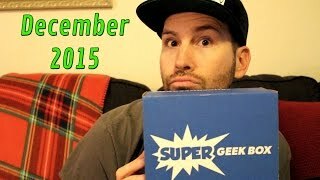 Clintus games walks his viewers through an unboxing of his Super Geek Box. Search trends often spike around industry events or game launches. Some creators have found success by producing videos that relate to these. Always stick to what makes your channel work, but if you have the opportunity and inspiration to take advantage of these events, go for it! Study the trends. Search traffic for a game often begins weeks before the actual public release --consider releasing a relevant video (like a preview before it comes out or an “unboxing” video to show your excitement about it! If you wait until the day of the release, you may have already missed a lot of potential viewership. It may be helpful to write out a calendar. Just grab a planner and jot down some potential ideas and dates. Try to align them with gaming events or premieres you think are important. Not only will a consistent schedule help build viewership, but it can help you stay on top of your production schedule.